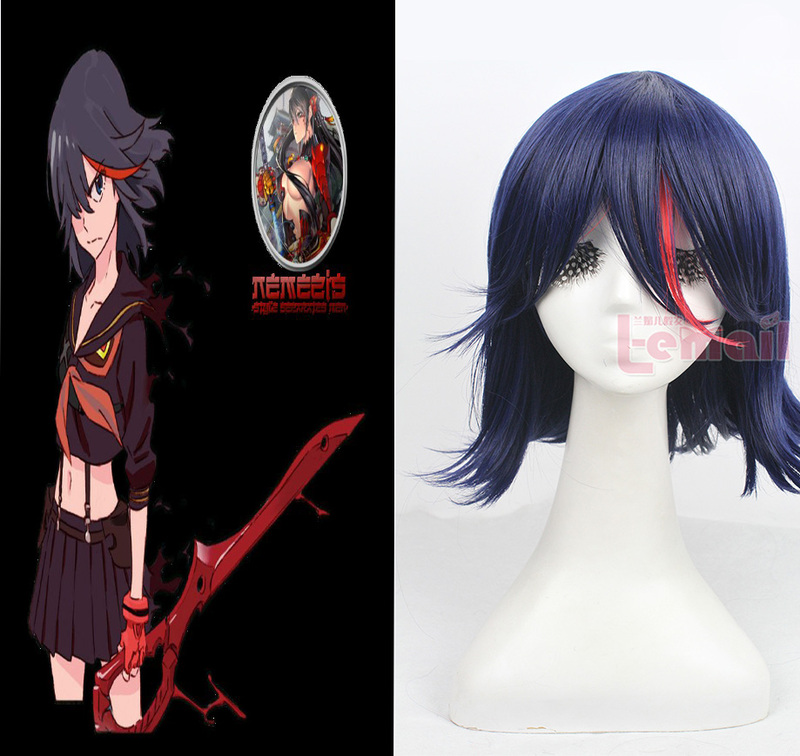 Medium length cosplay wig was originally made for a character from Kill La Kill, it looks pretty good with overall look very close to the character, and of course it would be good. The wig’s color is really pretty and resembles a lot character’s oficial color, as well as the way that the hairs are styled to point upwards. Yes, the wig comes with those strands of hair standing, which saves you a lot of work on putting those together on a normal flat wig. It has fairly thick hair, which makes it a bit more complicated to comb, compared to the smooth, short hair of other wigs, but otherwise its actual hairstyle wouldn’t be as easy to obtain. The bangs were longer, so you may need to restyle them to make it be perfect suitable for you, to feel more comfortable. It is also heat resistant,so any additional heat styling is possible. As for the length, you can see in the following picture just where the hair reaches at. 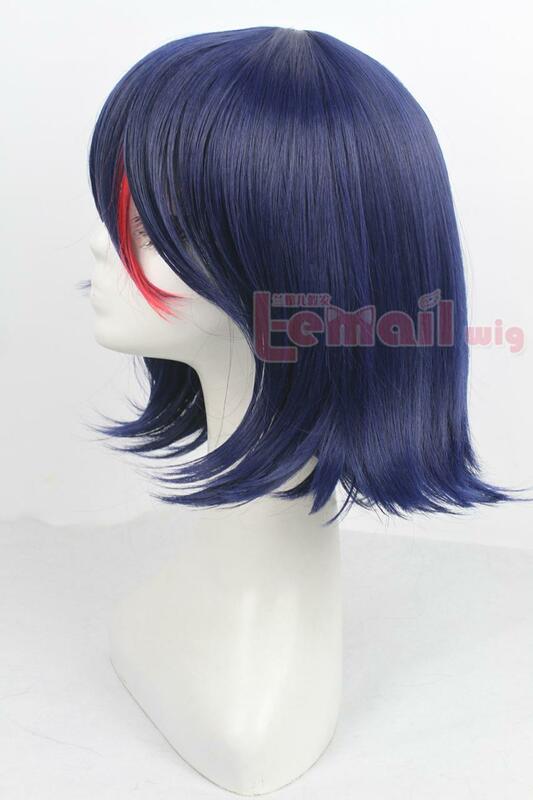 Personally, this wig is more suitable for cosplay instead of daily fashion style, but you will totally love this wig. It was perfect for what you were aiming to get if you do really wanna have a cosplay character like this one, so people who already use it will highly recommend this cosplay wig for more than its actual purpose. Considering its high quality, you might even use it for more different characters with such a hairstyle. 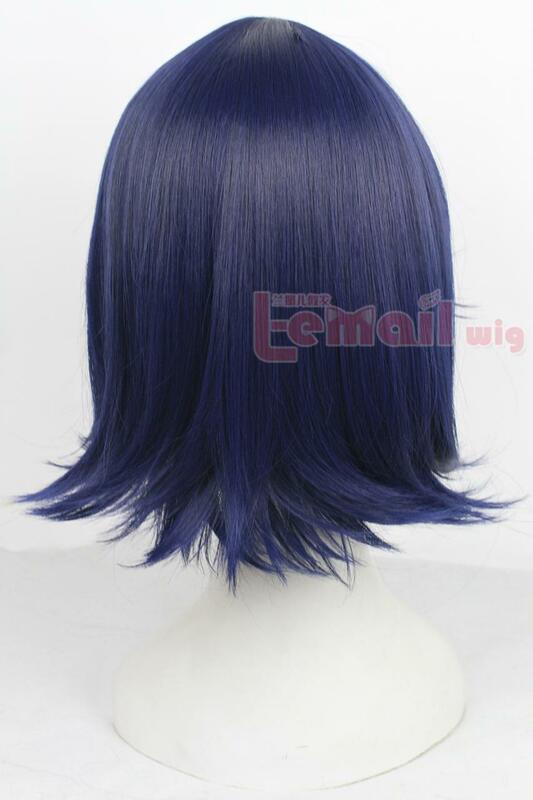 This entry was posted in Buy Cosplay Wigs and tagged 35cm wave cosplay wig, blue color wigs, medium cosplay wigs.